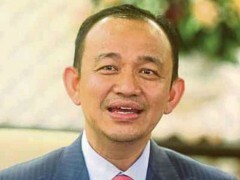 SINCE assuming the role of education minister, Dr Maszlee Malik has been the subject of controversies as well as the of criticism. 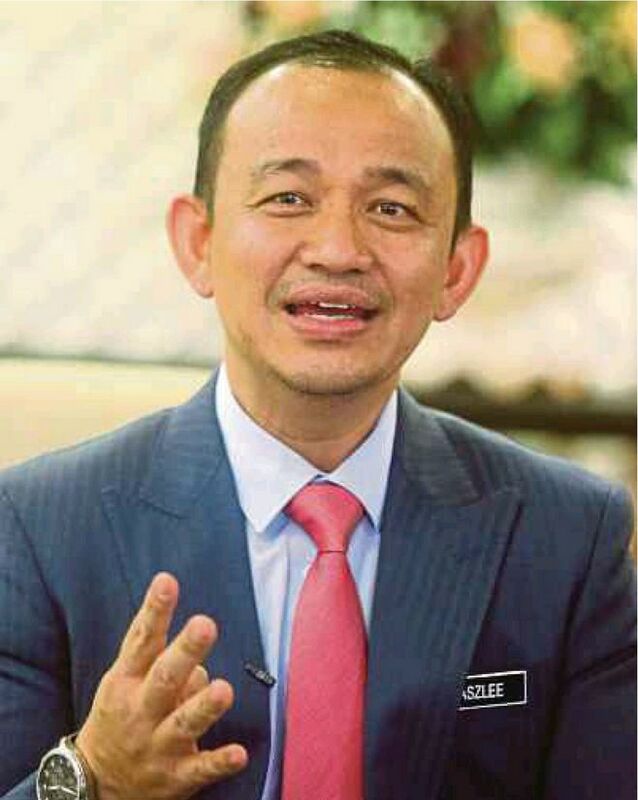 However, Maszlee chooses to view the experience from a positive angle, and believes that it is part and parcel of the learning process as a first—time minister. Q) Tell us about your experiences and challenges over the last five months. A) It has been challenging. We are writing a new chapter in the history of Malaysia. There has been a change in government for the first time in the country’s history, a government that is not Barisan Nasional or Perikatan. To us, these five months are akin to five years as every day is filled with new challenges and lessons. It is a steep learning curve. Yet, our ministers have not lost the drive to form a new Malaysia despite the challenges. this is your first experience in politics. How are you coping? A: In this cabinet, I am in the middle—aged group. There are many who are younger, such as Syed Saddiq Syed Abdul Rahman, Anthony Loke and Yeo Bee Yin. A) I may not have ministerial experience, but in mid—40s, I have experience in education, as well as with non—governmental organisations and humanitarian work. I was fortunate to be appointed education minister despite having just entered politics. I may be new as a minister, but I worked my way up from the bottom in education. I was the International Islamic University academic staff president, which gave me the experience to understand the needs of the grassroots. This experience may have merited my being appointed as education minister by (prime minister) Tun Dr Mahathir Mohamad. Q) Could you share with us your experience of working with Dr Mahathir since joining the cabinet? A: To me, he is someone who is extraordinary. When I was 9 years old, I received a Hari Raya card from Tun. My mother sent him a card and we received one in return. I figured, he must be someone outstanding. My family has always looked up to Tun. And now, having worked with him, I can say that he has changed my life. He is like a father to me. He wants us to learn from our mistakes. He doesn’t seem to tire; he comes in at 8am and still has meetings at 7pm. I remember some ministers asking him permission to take Raya leave. He replied, “Ministers don’t take leave.” So to this day, I feel guilty about taking leave. Imagine, can we work like he does, still active at 93? He encourages us to go beyond our comfort zone and do our best. Q) Your portfolio is an important one in the cabinet and was given the highest allocation in the 2019 Budget. What are your immediate as well as longterm plans? A) What I wish to achieve over the next six months will be seen at the beginning of next year. We have undertaken various initiatives since I became minister. We have laid out three items of focus. The first is inculcating good values in education in school and society. Secondly, boosting the quality of education in school, educational aspects and quality of life for teachers. The third is autonomy and freedom in education. Next year, we will roll out the Good Values Manual, which will be read out during each school assembly. We will introduce a new “good values” each week, which students will have to read, understand and internalise. The manual, now in its final stage, will be completed with the cooperation of the media and private sector. Q) Will you adopt the Japanese approach of prioritising selfevaluation in our education system? A) All this while, the education system had focused on the “three M’s” — menulis, membaca, mengira — (writing, reading and arithmetic). We should add another “M”, manusiawi (humanities). Education, as the prime minister says, is not just about producing people who are clever, learned and successful, but they must also be trustworthy, honest and have values and integrity. This is what we are trying to do. I am convinced that we will see a revolution in the mindset of Malaysians after 10 years. This is what the prime minister is hoping for, that we become a society that embraces values. Q) You have been at the centre of various controversies since becoming a minister. How are you dealing with this? A: I hold true to the principle of “what doesn’t kill you makes you stronger”. I see all these as part of the learning process and part of the experience. There are things I wish to achieve for Malaysians, so I do not need to spend time entertaining frivolous issues. Q: Could you elaborate on (Pakatan Harapan’s) manifesto’s pledge to provide free education? A: We aim to make universitylevel education free. But the economic situation has not yet permitted it. This relates to tuition fees. Our fees in public universities are not too costly compared with private universities. Hence, we wanted to provide free education as long as government finances permitted. But when we became the government, we found that the size of the debt overshadowed the government’s finances. dents. We want to amend certain sections in the AUKU (Universities and University Colleges Act 1971) to enable students to enter politics, and eventually replace the AUKU with another act. After this, students not only can hold elections, but student representatives can also attend senate meetings and make decisions with the university authorities. The AUKU amendments will enable the formation of student unions. In what shape or form, that is up to the students to decide. Q: Are there any new developments with regard to the repayment of the National Higher Education Fund Corporation (PTPTN) loans? A: PTPTN has forwarded several suggestions after taking into account the country’s financial situation and the outdated borrowers’ list. We have identified the data and number of borrowers based on Inland Revenue Board figures. PTPTN is offering packages to facilitate easy repayment without burdening the borrowers. What is important is for us to help the borrowers repay their loans. I will be take this proposal to the cabinet for approval. Q: Any progress on the move to reduce the administrative workload of teachers so that they can focus on teaching? A: By next year, we want to ensure that teachers are not burdened with filling in forms and documents. We will work with the National Union of the Teaching Profession, as well as teachers’ and principals’ associations. All this while, teachers have been burdened with unnecessary work. I am firm in the belief that a teacher ’s role is to teach and spend time with his students. We have established a committee to discuss with teachers’ associations on what is necessary and isn’t. Q: Tell us more on the role of Parti Pribumi Bersatu Malaysia in the local political scene. A: It is a much newer party compared with the others, but its members come from various political backgrounds. Some are from Umno, Pas and PKR. Some were activists like me. We have many young members in Armada and this dynamism will chart the party’s direction.